Three years ago from today, Broken Myth was launched! Since then, we’ve published over 500 posts, garnered millions of hits, and subsequently became a leading resource for Vainglory. The site launch on February 5th, 2015 was commemorated with a small sticker giveaway. We wanted to recreate that but with rewards equivalent to the support you have shown us over the years. Before entering to win Vainglory merchandise, please make sure you have a valid shipping address in case you’re the lucky individual. The winner’s information will be shared with and shipped by Super Evil Megacorp from The Lair in San Mateo. We respect your privacy and will cross any bridge to ensure your information stays confidential. If you don’t want to enter, we’d still love to hear your favorite Broken Myth article! Fill out the name and email fields so we can contact you. The winner will be chosen at random and announced on February 25th. The entire Broken Myth team thanks the Vainglory community for supporting us along our journey! Content creation isn’t an easy hobby, but we thrive from your continued interest and appreciation. Cheers to a prosperous three more years. UPDATE: The winner of the merchandise giveaway is Rosemary. Thank you to everyone who left a comment to enter! If you’re new to Broken Myth, we hope you stick with us for more Vainglory content. I really love the hero tier lists in general. As a fairly ok player, its really helpful knowing which heroes are in the meta and which heroes are not so meta. The humour, design and puns are also really engaging and i always get hyped whenever a new hero tier list is realeased. Love this article because what’s in it is just so true. As a long-time Catherine main it felt like it was addressed to me. I love captains, so anything that helps me learn support items is great! 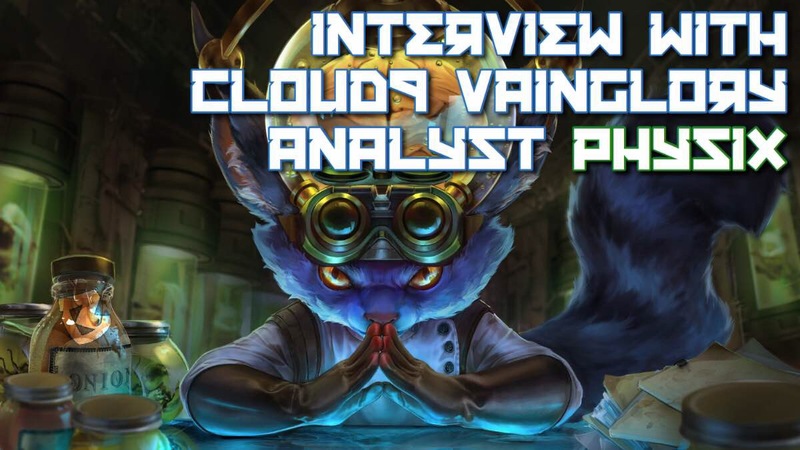 But lately I’ve been enjoying all of the 5v5 articles and the hero roles one really helped me get a grasp of 5v5. I love the Hero build articles, & Celeste is my favorite! I’m still just barely beginning to learn the meta, but they’ve given me a good starting point for the game & I love it. That article is what bring me here in the first time, and then I keep visit this page to look for something new. Due the 5v5 update obviously I still trust this page to guide me and my teammates to play Vainglory. And my fovourite article in 5v5 is this early rotations guide. Thank you for your guide in the fold and also rise. Kicking it oldskool, but this Krul article gave me the confidence to play my favorite hero at a time he was a potato! All of your articles back then took me from Pretty Good to Simply Amazing! The hero builds pages at that time were amazing also! At the time, there weren’t many high level contributors and you guys were awesome. I took a 13 month break from VG and came right back to where I started here. You guys are awesome, keep up the great work! This was one of the first articles that showed me I had so much to learn! It helped me a lot on the rise!! My favorite article was the guide to winning draft. Just waiting for hero counter post update. This was my favorite article as drafting is just as much an art as a science. Came across this one a while ago, it helped me out a lot! Especially since I like crystal carries. This made me laugh a lot. Please post some more of this kinda stuff! I also like the hero tier lists as they help me get a better understanding of the current meta. Was good to hear phypoh’s thoughts again, all the best phy! Every time I come back to it, I just laugh. I was having a pretty bad day, and I saw it, and read it, (of course), and that just brightened my day. That article will always hold a special place in my heart. Winning this would be a great gift for me as well since my birthday is on February 26th! I played LOL in college, but that ended with my PC. Finding Vainglory was fantastic, but the truth is that without this article, I would have never kept playing. It was there for me right as I was new and getting discouraged. I’m no pro, but I like to think that my play has greatly improved since. Thank you to your whole team there! I’ve always underestimated the potential of Minion Candy before reading this article. This is truly an eye opener. I hope for more quality content from the writers of Broken Myth. Keep it up! I’ve always greatly enjoyed reading over the hero tier lists. Especially after this interesting graphic was implemented streamlining the readers ability to comprehend the meaning of the tier list. 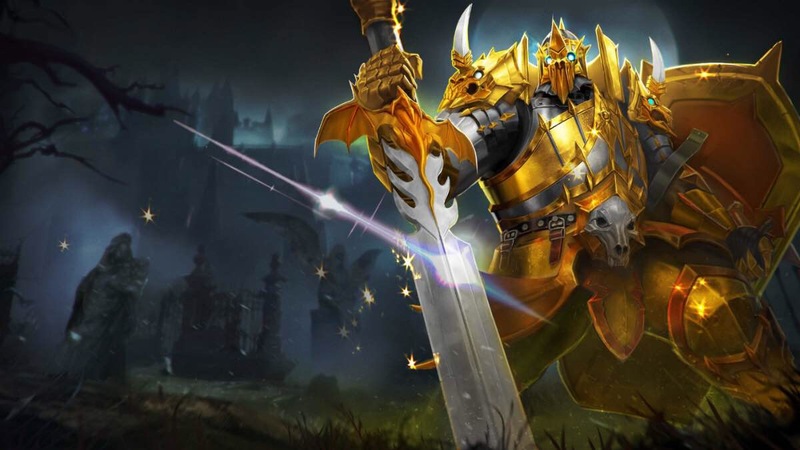 These lists have always been a benefactor in the community aiding under-experienced players and helping people understand how balances and changes make heroes rise up or fall. As well aiding in drafting strategy these tier lists have always been and will continue to be monumentally influential. Forever thankful to this website!!! My favorite articles were always the hero tier lists that came out each patch. I don’t have a specific favorite, but I’ve always looked forward to seeing the new list each update. Vainglory 5V5 on the Rise: Early Game Rotations and Jungle. Beginning of major meta change in my mind with how gold is shared and how to start off on the right foot. http://brokenmyth.net/vainglory-stacks-explained/ was really helpful for me to understand how heroic perks actually worked in game. for instance, i was pretty ignorant about Catherine’s stacks until like a year ago and never understood why people we just using her to randomly stun heroes. kinda embarrassing for me but luckily broken myth was there to help deepen my understanding of the game. i have this article in my bookmarks to this day, hope it continues to be updated. The weekly news roundup. I know that’s not specific but I look forward to that and couldn’t really pick a specific one from that . My favourite Articles were the previews of the final weeks of vainglory8 before worlds, because it got me looking from different point of views. One of the funniest “true” articles about vainglory that makes me laugh every time i come back to it.???????? unwritten laws of Vainglory in recent memory. There are however a lot more favourites-The hero tier lists and the weekly news roundups.I also remember a really great interview with Zekent on game balancing. Here’s to a glorious 3 years more! About the opals, from like a month ago. We all ❤️ Opals, dah? Learn lot and love the myth, even though it’s broken ! I know it’s kind of a weird post but I remember this video so clearly from back when I watched it. Been playing Vainglory since 2014 and ShinKaigan & AdyEndrus used to be my favourite people to approach for VG tips (even on the subreddit! I wonder if you remember me shin) but yeah this video pushed me into trying melee heroes and I have been trying to get better on them ever since. Cheers! im not sure if it counts more so as videos than articles, but the countless mechanic tutorials such as stutter steeping have helped improve my experience with league in all kinds of ways, i’ve been playing vg for a while now and its crazy how much i’ve learned through bm.net. Its been a good 3 years thank you guys so much cant wait for more to come. My favourite articles are definitely ’The unwritten laws of Vainglory’ ones by Vincitore. It’s nice to get away from all the competitiveness and to look back on your time/suffering with the game and laugh. I love the unwritten laws so much because it is so true! It made me laugh hilariously when I first saw it. ONE OF THE BEST ARTICLES ABOUT VAINGLORY! Now i know how to spend my ice at mystery chest. 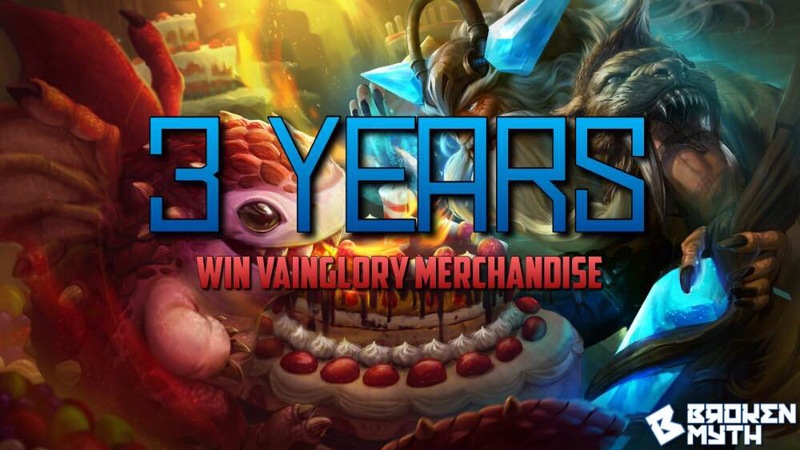 This article literally made me laugh…also the first part of this article was just XD..Also the 5v5 articles are really helpful and very effective…I really hope i win since vainglory merch is not really available in my country…thank you..???????????? My favorite article is http://brokenmyth.net/analyzing-the-north-american-top-100-list/ because it talked about the old generation of competitive players and how much everyone has improved and changed till this day. I always love the tier list articles. The article http://brokenmyth.net/update-2-10-hero-tier-list/ is one of my favorite because another captain was introduced (Lorelai). That is the foundation for my current drafting knowledge and I probably wouldn’t be as analytical as I am right now without that post. My favourite article is Vainglory Hero Countering: Your Guide to Winning Draft from April last year. I used to refer to the guide during matches to see how I can handle the opponent hero instead of straight forward attack. Been really helpful as well as helping me narrow down my picks against opponent. So it was very helpful. My favourite article is definitely the unwritten laws of vainglory volumes 1 and 2 i relate to so many of the entries there and its an article everybody should read. This one is definitely my favorite broken myth article. Really hyped up 5v5 for me as I have always been more of a fan of macroplay / strategy rather than pure mechanics. I’ve always known that 5v5 mechanics would be much more complex, but this was the first real introduction I had to a 5v5 MOBA as I have never played league/other 5v5 mobas. Hard pick, but http://brokenmyth.net/vainglory-hero-countering-your-guide-to-winning-draft/ might be my favorite. It has some fruitful knowledge that’s essential even if you’re not picking for draft. « Welcome to the Bungle » because I have a good memory of it being the frst BM article I’ve ever read. Pretty funny. i think this one sort of speaks for itself. This article was by far my favourite. cause it’s just funny to reflect and think about things we have done seriously, but now is humor. The 1.24 hero tier list because of the legendary easter egg. ???? Favorites are the articles explaining how to 5v5. My favorite is the one regarding comps (http://brokenmyth.net/vainglory-5v5-hero-roles-impact/) as it helps enlighten those who might need it about the steryotypical compositions and how you would build them. Honestly, I don’t think anyone or anything would outbest this analysis. Especially using the knowledge we knew back then and how little we had, this is really useful. Great analysis. Hero counters guide is always the best http://brokenmyth.net/vainglory-hero-countering-your-guide-to-winning-draft/. My favorite article is http://brokenmyth.net/vainglory-5v5-early-rotations-jungle/ cause of the cool graphic. Hope I win!! !